If you were wondering what Amarok is, we'll tell you about it: it's a huge wolf from the Eskimo mythology that's capable of gobbling up any hunter who dares to go hunting at night. It could well originate from the era of large prehistoric mammals as is the case of the mastodon. 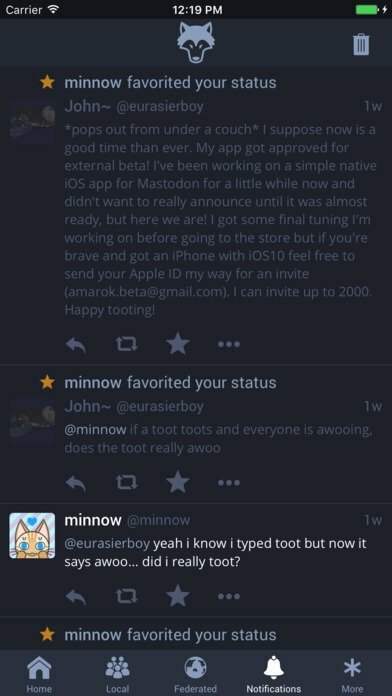 Precisely this extinct animal gives its name to a new social network that intends to become an open-source and decentralized alternative to Twitter, to avoid the monopolist control of the communications on behalf of a single company. We're obviously talking about Mastodon, that has nothing to do with the North American progressive rock band. 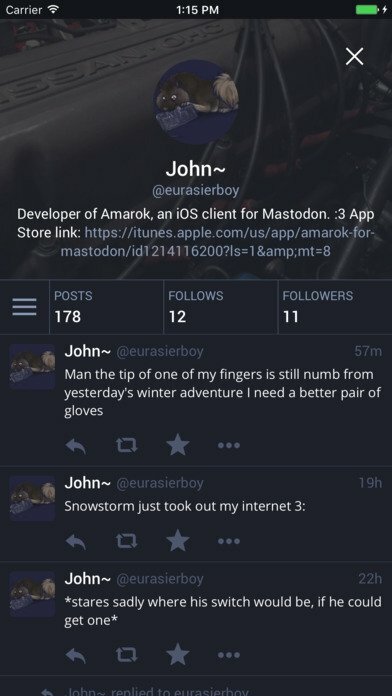 View and follow profiles of other users. Read and take part in conversation threads. Publish videos, photos, and GIF animations. 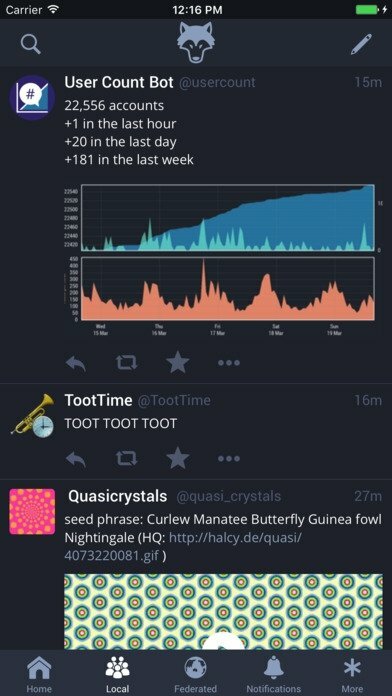 A functional client for Twitter's open-source alternative. 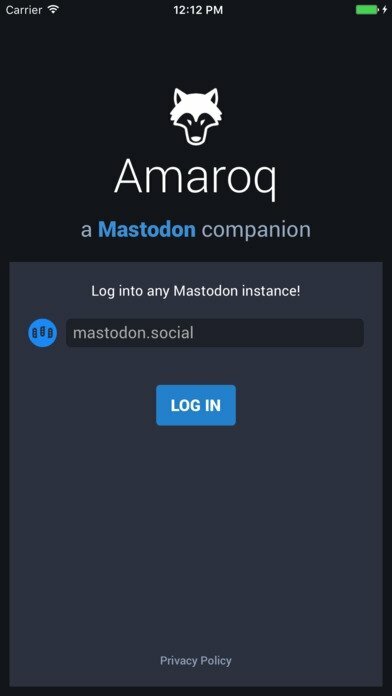 Mastodon has appeared in an attempt to create a social network that isn't under the control of a corporation. That's why it offers us the possibility to connect by means of different servers or instances that hinder a centralized control as well as they prevent the activity of each mastodoner from being tracked. 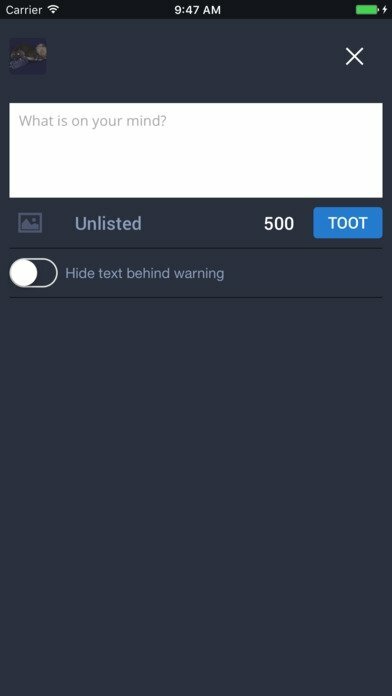 On the other hand, there are other differences beyond the philosophy of each service, also in terms of design, although they're not too radical: the most obvious one is the possibility to send toots of up to 500 characters instead of being limited to the messages or tweets of 140.